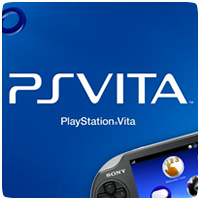 With Sony’s Gamescom press conference over a day away, rumours about a redesign to the PS Vita has resurfaced. According to Magic Box, the Japanese newspaper Tokyo Keizai is reporting that there could be a Vita redesign in the works, with the launch date expected to be in September – around the time of the Tokyo Games Show. 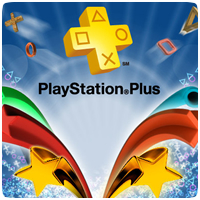 July’s PlayStation Plus line-up was revealed earlier yesterday, but it looks like August’s line-up has also been leaked, revealing more top titles coming to the Instant Game Collection. July’s update includes Ninja Gaiden Sigma Plus and Unit 13, and it looks like When Vikings Attack (cross-buy) and New Little King’s Story will be coming to the PS Vita in August. A developer working on PS4 games has told Digital Foundry that all PS4 games that don’t support the PS4′s camera requires Remote Play functionality with the PS Vita. Remote Play hasn’t seen a lot of support in the past, even with the PSP console, so this is good news if the details are accurate. 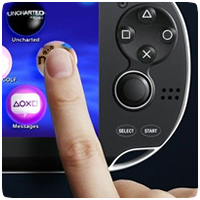 Sony has already stated that the long term plan is to have most PS4 games playable on the PS Vita via Remote Play. Another image from the recently leaked Assassins Creed: Rising Phoenix game has been released, providing further evidence that the game is indeed real. In addition, a Spanish online Store, XtraLife.es, confirms that the game will be a PS Vita title, and the second Assassin’s Creed game to hit the portable console. However, Ubisoft has yet to confirm or deny the existence of the game, it’s still classified as a rumour for the time being. A mysterious new image related to Assassin’s Creed has surfaced on AllGamesBeta, showing what could be a new title in the Assassin’s Creed series. 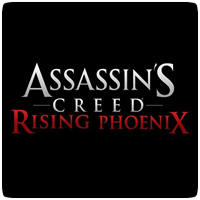 The image shows what looks like a factory of some sort with “Assassin’s Creed: Rising Phoenix” written over it, and also has a watermark with “Internal use only,” indicating the image has been leaked from within Ubisoft. A new patent filed by Sony and published by the US Patent and Trademark Office last week shows what could be a new model of the PlayStation Vita – or at least a hardware update. The new patent shows new port placement on the bottom of the Vita, and includes what looks like a HDMI port and separate AC adapter port. If the previous leaks weren’t enough, Reddit user NATHANDRAKE20984 has released a new photo of two new characters spotted in PlayStation All-Stars Battle Royale. The screenshot clearly shows Crash Bandicoot and Tomba from the PlayStation era added to the roster list. It looks like Sony has a real treat in store for PS Vita owners at Gamescom next week. An “anonymous” source reveals that Sony will be releasing a number of previously announced Apps for the PS Vita, including Wake Up Club, Travel Bug and Ecolibrium next week. 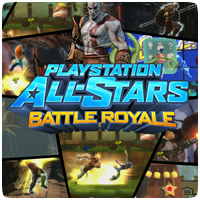 The official website for PlayStation All-Stars Battle Royale has accidentally leaked information and screenshots of two new characters to the game’s line-up. The screens below show Sackboy and a “new” character, while a tab on the homepage shows a image of Cole vs. Raiden.